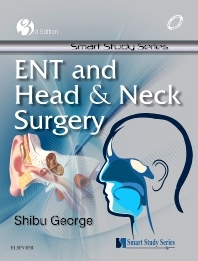 The Immensely popular SSS-ENT and Head& Neck Surgery is back in the ALL NEW, REVISED 3rd Edition. Thorough review and revamp of all chapters makes it CURRENT, CONCISE & COMPLETE. The hugely appreciated basic theme, easy to learn ‘Question- Answer format' maintained throughout by the author with his proven stamp of perfection and finesse; allows broader scope of use among students and residents. Comprehensive coverage of the Subject, Subspecialties & Allied specialties in all its diversities, brilliantly linked to topics of PGMEE questions for past 30 years, updated up to 2015. Brevity and clarity allows A-Z revision of the subject irrespective of the pattern of examination; this perennial best seller should be the unequivocal choice and ‘must read’ for any PGMEE preparation.